SecureVideo - How do I create a listing in the clinician directory? 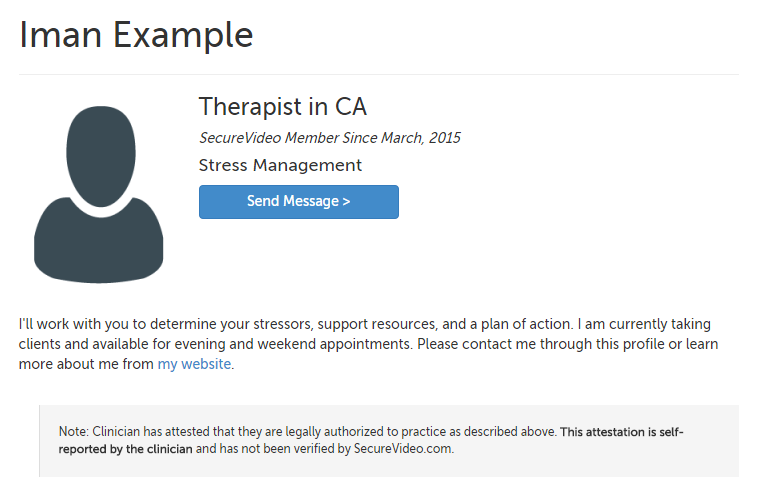 All SecureVideo account holders can create a listing in our online clinician directory, although listings need to first be enabled on the account by an Account Administrator. Prospective clients will be able to see your photo, specialties and practice description, and can send you a message to reach out to you--without you needing to divulge your e-mail address publicly. 1. Click on the "Features" tab in the upper right hand corner, and select "My Listing" from the drop-down menu. 2. 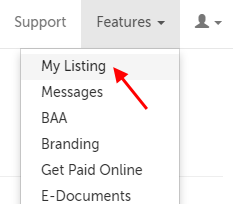 Use the "Create Listing" button at the bottom of the page. 3. 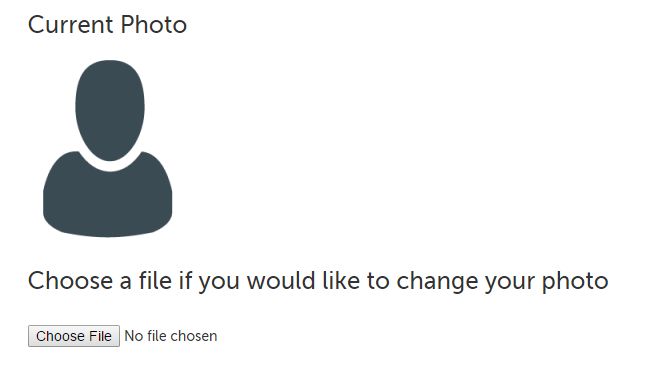 On the next page, use the "Choose File" button to select the photo you want to use for your profile. (The photo will be uploaded once you save your listing.) Photos should be 200 pixels by 200 pixels in size; if they are larger, we will reduce them such that the larger dimension is 200 pixels. The file format should be a GIF, JPG, or PNG--please contact [email protected] if you need help converting any file format. 4. Select your practice type by checking the box next to an available option. 5. States, Territories, or Provinces Where You May Legally Practice: Use the checkboxes provided to note which states/territories you may legally practice. It is your responsibility to accurately indicate the states, territories, or provinces where you may legally practice. 6. Licenses, Certifications, and Other Credentials: Please enter the details of any licenses, certifications, or other credentials that are relevant to this listing. 7. Practice Specialties: Use this text field to describe your practice specialties. 8. Practice Description: Use this text field to describe your practice. 9. Use the "Apply" button at the bottom of the page to create your listing (or to save any changes). 10. A popup will appear asking you to confirm your licensure in the states/territories you indicated. 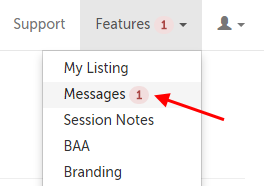 To retrieve a message, click on the "Features" tab and select "Messages" from the drop-down menu. This article was last reviewed by our Support team on January 12, 2017.